June 30, 2015 – Ball Aerospace & Technologies Corp. has powered on the Joint Polar Satellite System (JPSS-1) satellite for the first time. The JPSS-1 is the nation’s next polar-orbiting, environmental satellite, scheduled to launch in 2017. Powering on of the satellite is a key milestone to delivery. Following powering on, the satellite performed within specifications. Ball earlier completed integration of four of the five JPSS-1 flight instruments. The latest milestone means the satellite is moving toward environmental testing by early 2016 with on-time delivery scheduled for late 2016. When launched, JPSS-1 will continue the accurate and timely collection of operational polar-orbiting weather and climate data currently provided by the NOAA/NASA Suomi National Polar-orbiting Partnership (Suomi NPP) satellite built by Ball. 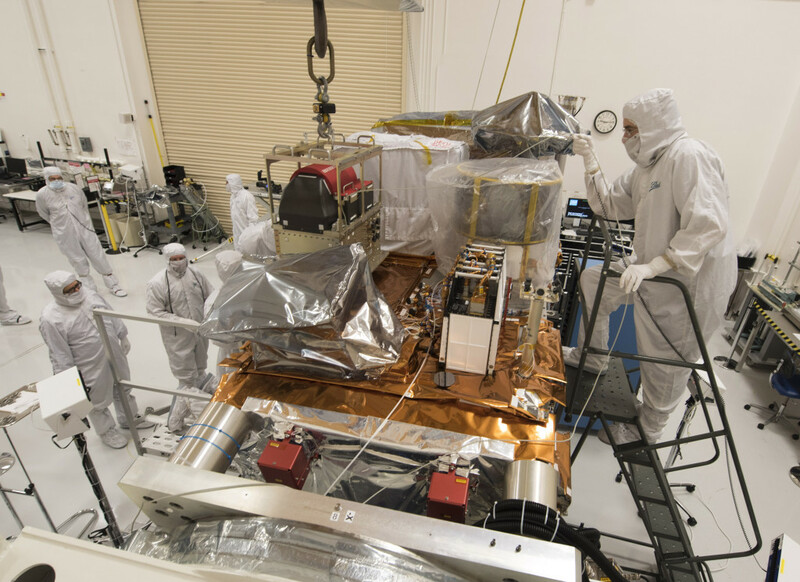 On orbit since 2011, Suomi NPP, the first in the series of next-generation JPSS satellites, collects science-quality atmospheric, oceanographic, and land surface measurements that are critical for the nation’s operational weather mission. Under contract to NASA’s Goddard Space Flight Center, Ball Aerospace is responsible for designing and building the JPSS-1 spacecraft, building the Ozone Mapping and Profiler Suite (OMPS) instrument – which measures levels of stratospheric ozone that protect the Earth’s surface from damaging ultraviolet light, integrating all five instruments, and performing satellite-level testing and launch support. NASA manages the acquisition of the flight, launch services and portions of the ground segment on behalf of NOAA.